Bart Simpson #94 is the ninety-fourth issue of Bart Simpson Comics. It was released on January 28, 2015. "Rainier Wolfcastle applies some method acting to his newest film role and follows Bart around school to get inside the mind of child, but it doesn't take long for the action hero to become fascinated with another subject -- Nelson Muntz! Then, Lisa tries to grow her own vegetables to rival Mr Burns' gigantic food. 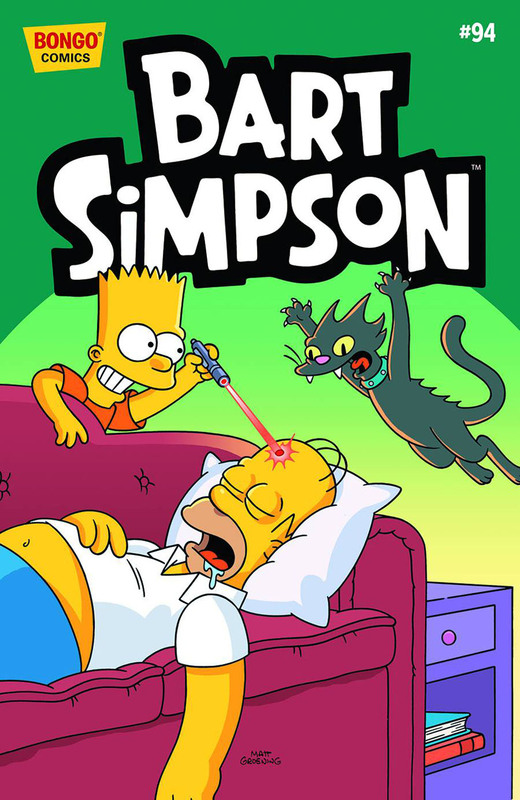 Add in a little Crazy Cat Lady and a Simpsons/Nick mash-up with SpongeBob SquarePants and Bart Simpson, and you have a big helping of good old–fashioned fun!"